Valley National Bank donated more than 200 new toys and over 100 gently used coats to the Holiday Wishlist Program run by the Center of United Methodist Aid to the Community (CUMAC). The wishlist program tries to make the holiday season brighter for families in need by providing presents for children living in shelters or fighting illness and poverty. Paterson-based CUMAC distributed almost 1,000 gifts for children throughout Passaic County last holiday season. Wayne-based Valley National Bank’s employees donated the toys and the coats to support the needy in Paterson. 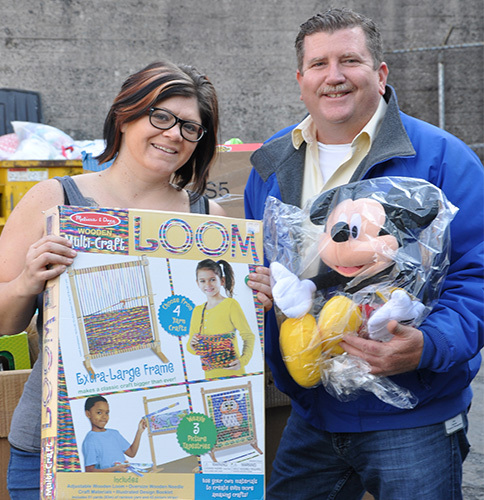 The toys and coats were delivered to the nonprofit on Tuesday.